When you’re preparing to travel the last thing you want to think about is are crazy unforeseen situations. But there are many that could cause you to cancel your trip, return home early or force you to seek emergency medical services while traveling. Most people ask if you need to purchase travel insurance simply because they don’t know what it’s for or how it can help them in one of these crazy events. Whether it's your trip, your possessions, your luggage, or your health, the right kind of travel insurance can cover you. It has become an essential item to pack for smart travelers. And if you don't buy the right kind of travel insurance more than your trip could be ruined. Bet your wondering what can travel insurance help you with? It can help you with all sorts of things like cancelled flights, lost baggage and your medication is in it and you need to have an emergency prescription filled, your passport and wallet are stolen, and you need emergency cash and a replacement passport, medical evacuation (You are involved in an accident and adequate medical treatment is not available), trip cancellations due to illness or a terror incident that occurs in the city you're planning to visit, your cruise line, airline or tour operator goes bankrupt. You need your non-refundable expenses covered and to get to your destination, medical emergencies in foreign countries or a hurricane evacuation at your resort, hotel or cruise. And this is just a few. There are many different types of travel insurance so make sure that you take into consideration where you're going, what you will be doing, and the places you will be going. Then discuss it with your travel agent so that you can be well advised before you purchase your travel insurance. Remember travel insurance can provide you peace of mind, protection against the unexpected and easing your concerns of losing money. For more information on travel insurance or any other travel topic please contact me. When people are planning their vacations most are booking their dream getaways to an island somewhere with sun and white sand beaches to relax on. Not to many people are thinking of heading to Alaska to get away from it all for their vacation. Alaska gets a bad wrap, it is actually an amazing destination for your next vacation. They have sandy beaches and sunshine too (if you plan right). The scenic views alone are purpose enough to go and spend some time there. You can get out into nature and see what we are missing in all the hussle and bussle of our day to day lives. Alaska offers fine dining at places like Crow’s Nest in Anchorage, or Seven Glaciers Restaurant in Anchorage, and as you can imagine there is some spectacular seafood fresh from the area. You can enjoy the animal life on many different tours such as whale watching boat tours for orcas and humpbacks, grizzlies feasting on wild salmon, otters playing in kelp beds or eagles enjoying their freedom soaring high above you. Nature is the show piece of Alaska. This is one of the BEST places to view the Northern Lights in all their glory and colors. You can take an airplane tour of Alaska and see some of it’s amazing views and scenery. You can even see glaciers melting and crashing into the ocean right before your eyes. If you enjoy camping you can take guided hiking and camping tours as well. This is a place of once in a lifetime opportunities to see and experience things you may never be able to experience again in your life. So remember when booking your next vacation don’t overlook Alaska as a potential to do something awesome! For more information on Alaska or any other destinations please contact me. 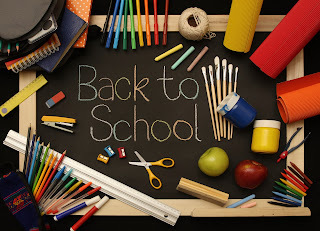 Today the kids went back to school which is the unofficial end to summer and the official start of when Mom’s pick up their school calendars and begin to plan their family vacations during winter and spring breaks. I know I know, the leaves haven’t even really begun changing colors yet and all the coffee shops haven’t fully embraced the pumpkin-everything season BUT…..those who book their travel early always end up the winners! One thing that I have been hearing over and over again these past few weeks out of the mouths of the uber organized Mom’s is, “Wow! Really?” I’ve heard it so much I’ve decided to write a little ditty about it, I mean, if it’s happening so often, chances are you will feel the same once you hear it too! So the moral of this (real life) story is, the earlier you plan the more flexibility you have in paying for it. As an added bonus, you generally will have paid the best price too which is more value for you - and that means more money for pumpkin spice lattes or new diggs for the upcoming sweater weather! Has the back to school rush left you overwhelmed and exhausted? Need a little help with planning your next vacation? Our team of Destination Divas have been there done that and are ready to design your very own Divine Destination! What are you waiting for? Click here to get started - let us do the work and all you have to do is pack your bags!